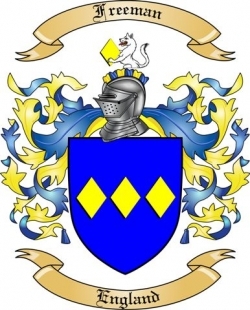 The surname passed to us at birth is in many respects the key to our past. There is a natural inclination for us to wonder what it meant for ancestors and indeed what it means for us today. Born in Norwich, Lucy decided to find out about her family history because she has the name Freeman and knew this was an honorary name. Dating back to medieval times, the name Freeman was given to men who took an oath to support the Mayor. In return, they were given ‘freedom of the city’. This allowed them to trade freely, graze cattle, vote and even be hung by silk rope if they were sentenced to death. 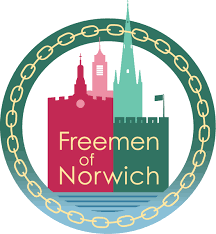 Norwich has a rich history of Freemen and although the rights and responsibilities of people with the title of ‘Freeman’ have long gone, the Freemen of Norwich do a lot of work in the community and it continues to be a respected name. Lucy’s aim was to find out if she could join this illustrious group. Although historically the title was passed down the male line, in 2009 women were granted the right to become a Freeman. The only caveat to this is directly descending from a male ancestor bestowed with the title in the given city. Lucy didn’t have access to information about ancestors through living relatives and needed to delve far into the past so it made sense to seek expert help. After a recommendation from a work colleague Lucy contacted Pro-Gen-Research for advice. It didn’t take much for us to start the process. We found Lucy wasn’t descended from the Freemen of Norwich but as with any family tree, there were some fascinating findings. Through the results, Lucy could connect more with the local area and people living nearby. ‘Unfortunately, although I got all this lovely information, I couldn’t become a Freeman of Norwich. I could become a Freeman of London but I didn’t want that. There were also connections with Oulton Workhouse so we got in the car and went down there and met the people who have the house now. They said: ‘come in, come in’ and it was just fascinating. Family information is special and at Pro-Gen-Research we believe it’s important for the family tree to be well-presented for easy sharing so current and future generations can enjoy the findings. It’s interesting to look for reoccurring names on a family tree as they are sometimes passed down or some names appear as a coincidence. It’s a nice gesture to honour these names. ‘Sam’s a lovely lady: friendly and approachable but on the professional side of it very thorough. You can’t fault the time and effort she puts into her work. The presentation at the end and what you get is a key factor in my recommendation. I now have this folder of history I can pass down to my children. Do you have a special name? Have you always wondered where your ancestors lived and worked? Contact Pro-Gen-Research on 01603 561105 for more information on how we can unlock the past for you.